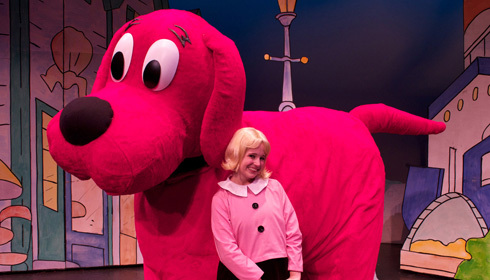 Clifford, the official mascot of Scholastic, is on his way to Hershey Theatre this coming fall! Who knew when Norman Bridwell first wrote Clifford the Big Red Dog back in 1963, that millions of people would adore him and love him even to this very day? The story itself is enough to pull on your heartstrings….a puppy who was the runt of a litter, a little girl who chose him as her perfect Christmas present, and those who doubted the puppy would ever grow. Along with friends Cleo, T-Bone, Charley, Jetta, and Mac, Clifford and Emily Elizabeth will take everyone on a journey to Birdwell Island. While there, they will learn about Clifford’s BE BIG!™ Ideas — Share, Play Fair, Have Respect, Work Together, Be Responsible, Be Truthful, Be Kind, Help Others, Believe In Yourself and Be A Good Friend. A wonderful show for the entire family.